Cindy freakin Luce – one of my besties then! Where is she now I wonder. Such a great family. Loved this post! Lots of memories! Our childhood memories though not always accurate, are some of the strongest and most formative. 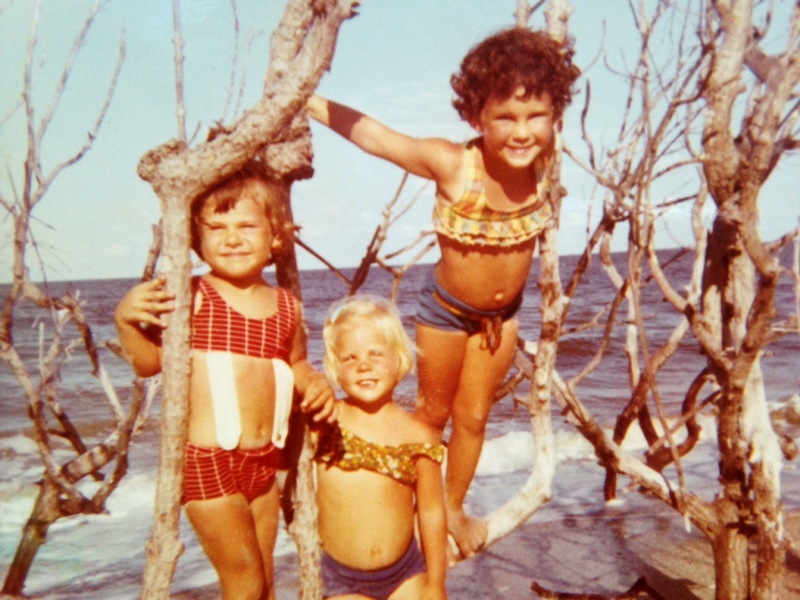 Nicole Lebel: I remember parking our car in, under and around the big mangroves at Jensen Beach before popping the trunk to collect all the necessary beach fun equipment. Chairs, surf boards, towels, snorkels, umbrellas, cookers, coolers. Many great memories of treasures collected in nets, studied with fascination and then released. I have an Uncle who visited from up north who has a rather painful sandspur-beach story that I’ll never forget!! Sometimes the shortest distance between two points is NOT the best path!! Lisa Jefferson: Late last Spring I walked up beach at Kite Beach in Jupiter to take pictures of wildflowers blooming.Of course I was barefoot & had completely forgotten about the existence of the oversized sandspurs that grow there.I got one in each foot,which made standing on one to take the sticker out of the other one very uncomfortable.When I first started doing kitesurfing photography,someone turned me on to wearing socks to keep my feet from burning.All these years in Florida & I never thought of that?I love your memories,Jacqui! Robert Pilla The Bathtub was awesome. I too recall walking that hot sand path and getting Stickers between my toes. Also the tar! getting the tar off our feet when we got home and the smell of kerosine. I have not been there in well over 20 years. 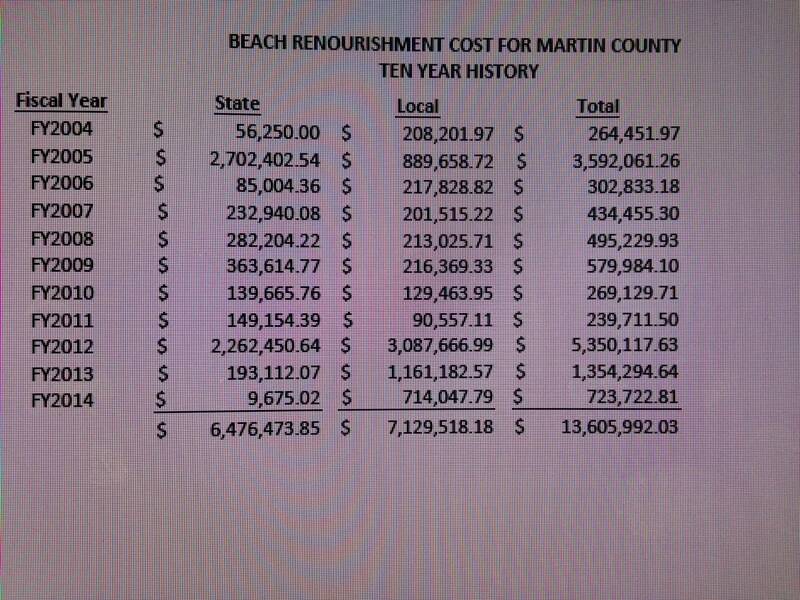 Last time I was there the reef was nearly gone. people had carved initials into the worm structure. The huge parking lot had arrived. It was sad. A truly unique ecosystem destroyed. Jacqui Thurlow-Lippisch Thanks for sharing your memories Robert Pilla. No the parking lot is there but it is dirt and under more dirt. Yes the tar! That it no longer as it was an improvement–from the bilge of ships i think…? Robert Pilla Next time I am in town i will need to stop by the New Elliot Museum. Maybe one day stuart will suite my personality better, but for now i love the big city. Bill Murphy I miss what we use to have. I remember the sea horses as a kid, the reef was alive. now it is dead. Sad what humans have done. The water was always clear. The sand was hot and prickers were all over, but the beach sand was white. Not like today. The tar is gone, but so is the life in the water. look at the clarity of the water in the picture. I remember the schools of whiting and croaker. It is all gone now. Sad. Adam Schwartz I remember it much different from today too. Christopher Lynch I agree, hopefully moving back to Florida next year! Sunni Kittrell Ashforth What beautiful memories Jacqui!! This was the beach I went to most often when I lived there, to be alone and get my fill of its beauty. I would usually have a headache when I left because I stayed too long. I meant to check it out last visit and didn’t get around to it. Hope to move back someday also Christopher! WIsh it was as soon as next year! Thanks for sharing this in your blog Jacqui! Patti Strait Jacqui, thanks for sharing…it brought back memories for me of coming to the island in the 60’s…yep tar, nettles, bugs & ketosene but, the most beautiful island, beach, ocean and river that I’d ever seen. I’m thankful to have shared in that the ‘simpler’ life. Love reading your blog Jacqui Thurlow-Lippisch! Jacqui, thanks for another nice story and making good memories come alive. I also think back to my childhood as a great time of easy and free. I like the idea of no responsibilities! Thanks for your writings! Those were the days…..Thanks Mike! “The aerial photos I am sharing today were taken not long after the atrocities of World War II.”. 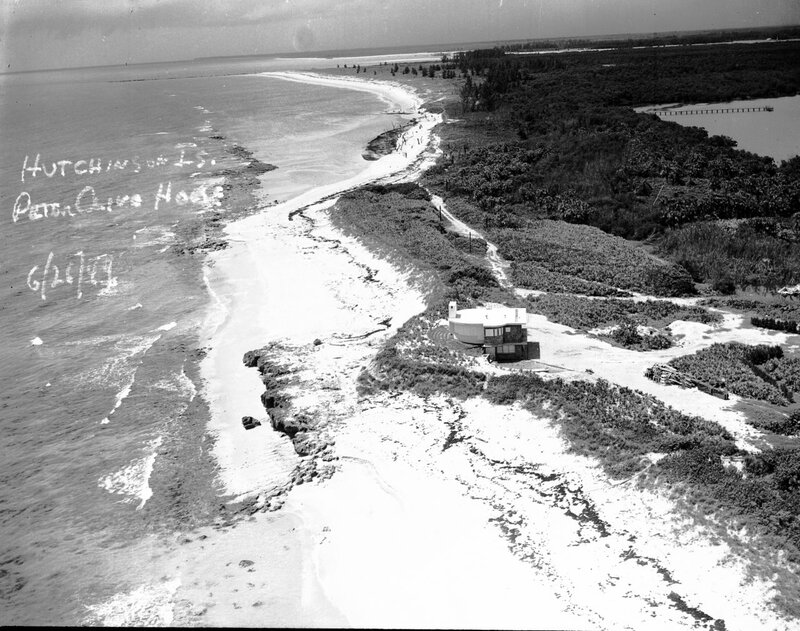 What atrocities of WWII are you referring and what do they have to do with Hutchinson Island? 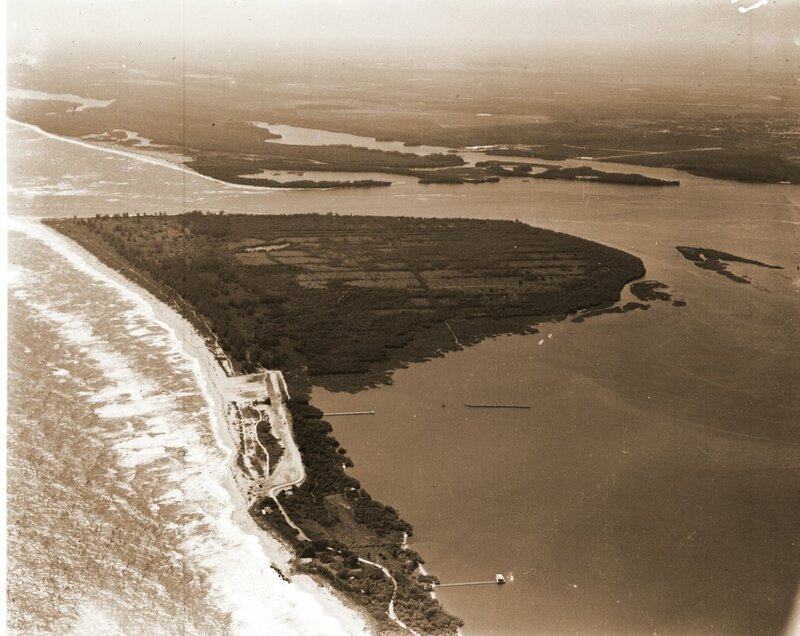 As far as real history goes – Hutchinson Island was a lookout spot for enemy ships. This was a great blog post and yes – simpler times were had after WWII up until the end of the 80’s for the most part. Thereafter some kooks in Washington thought our nation needed more cultural diversity and decided to bring in people from the Middle East that hate us and every nation not under Shaira law. Well, how is that diversity working out? Terrorists and the need to have military guards at our airports.. cultural diversity.. we now can live like our friends in Israel have to live. I am afraid that you are right in bringing up the fear and evil we have to live under today – unfortunately many just do not educate themselves enough in realizing that history is repeating itself. George Washington had formed the Marines to defend our ships from the Islamic Radicals in the middle east and Thomas Jefferson proved that Islam shouldn’t be protected as a religion since it is impossible to separate “Church and State” from the Islamic religion that demands full allegiance to it over nation… for legal matters and all. Keeping borders wide open means terrorists can walk right in, convicted killers from other nations and so forth. I hope we can wake up and go back to the simpler times – but we must realize how we achieved that feeling of safety, innocence and happiness.